Anway...it got me thinking about how I snack. A chocolate bar here and there isn't always a bad thing but what else can I snack on that will satisfy my sometimes savoury, sometimes sweet craving. What is not too bad in the way of calories or fat? 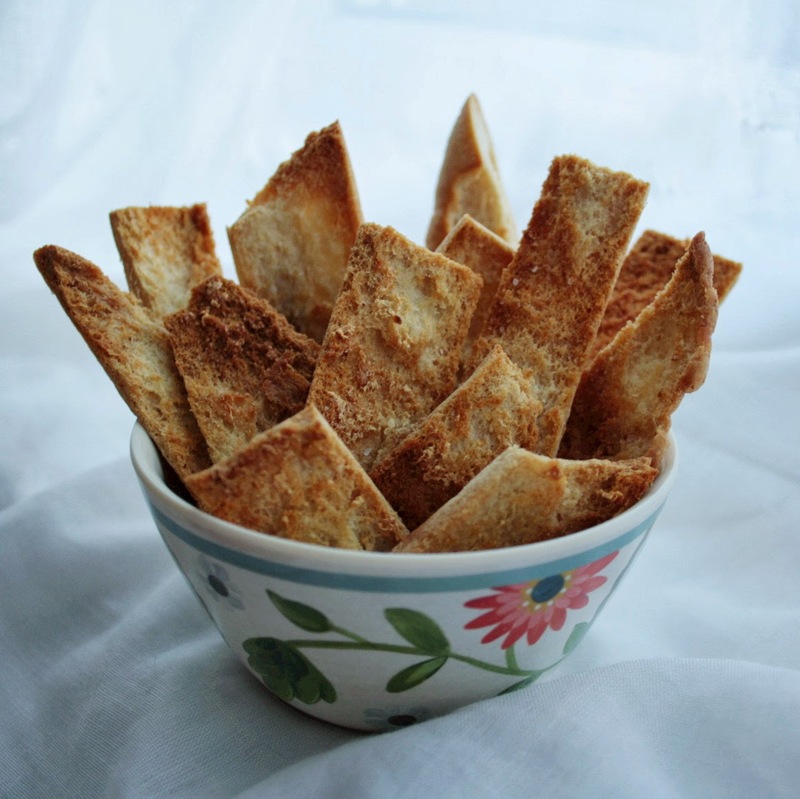 Have you ever tried pita chips? You can buy them but they're usually fried, full of additives to keep them fresh for ages and lost of salt. These are just as tasty but not so unhealthy. I bagged mine up and snacked on them today sans dip but they would be really tasty with hummus (obvious pita dip!) but also salsa, refried beans, a cheese dip...a perfect party snack as well! Preheat your oven to 190C (fan oven). 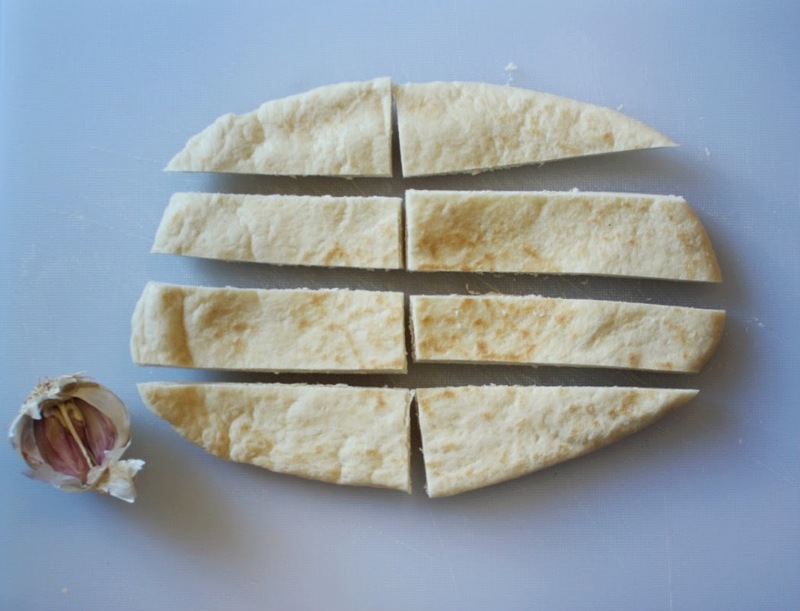 Slice a pita (or as many as you want!) 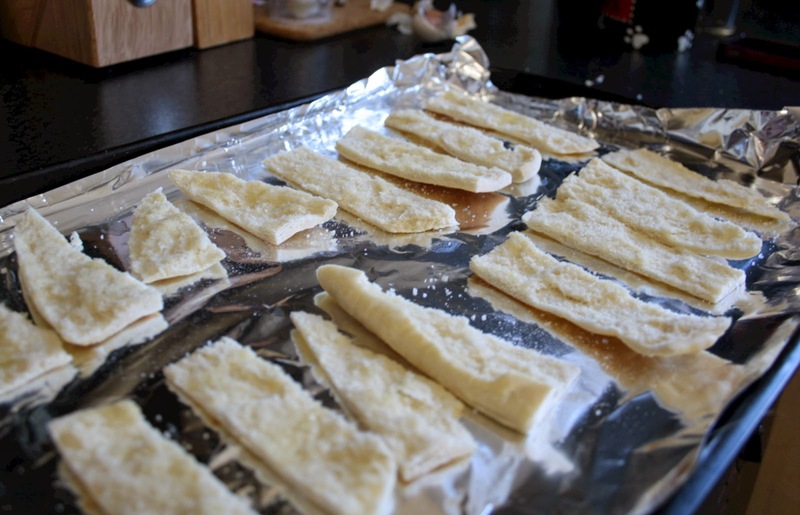 into strips and then open them out so you have a sort of single layer of pita. Brush strips with a little olive oil. Bake for about 5 minutes or until starting to brown. Rub the garlic clove over the strips and then add a small sprinkle of salt. 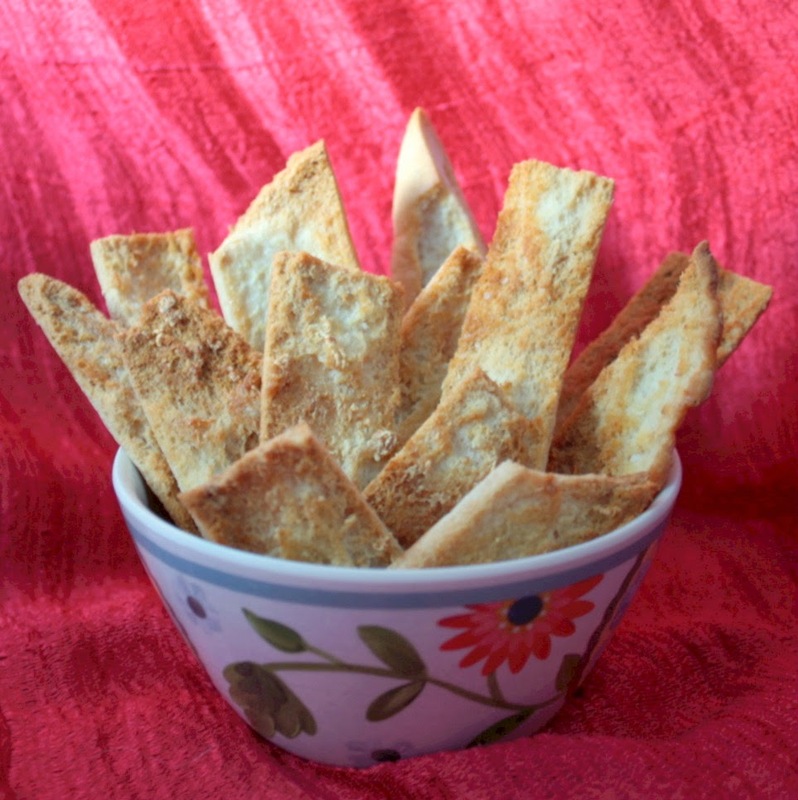 Bake again until pita strips are golden and crispy. If you want a lighter garlic taste just rub the garlic across the strips before you bake. Sometime the simple things are the best! 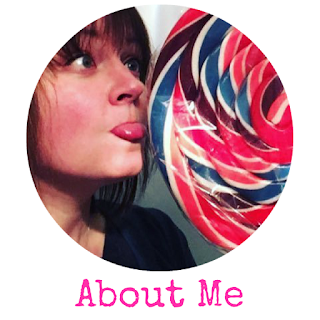 Let me know if you give my recipe a go!